Learn how to use custom tax amounts and % for one off situations. Every once in a while, you will have a situation where you will need to enter a different amount for a particular tax. This could happen because you either buy or sell something in a different jurisdiction or you’re required to because of the rules of a particular tax. If this is something that is going to be frequent, check out our article on Setting Up Taxes - Advanced. Otherwise, if this is a one-off situation or something that happens very infrequently and you’d rather just enter the appropriate amount in the invoice or bill, the following instructions will show you how to do that in Kashoo. 1. If you know what the different Sales Tax rate is and you want to apply it to the price, enter the different rate and the tax abbreviation code, without spaces in the Sales Tax field (e.g. 7%S for 7% Sales Tax). 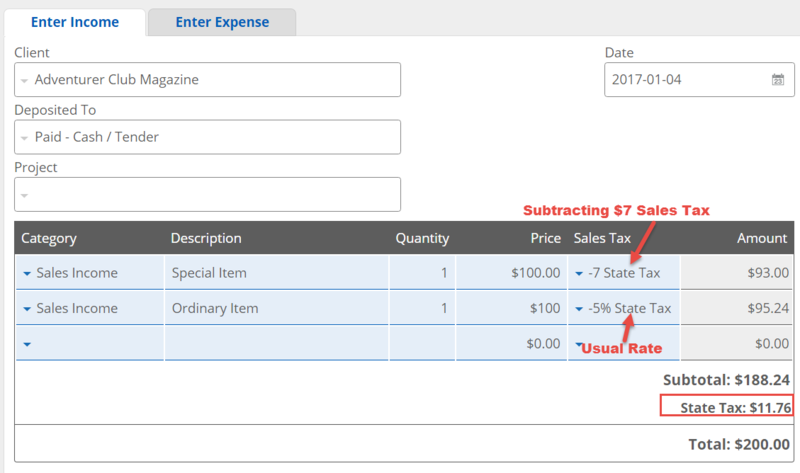 Kashoo will add the spaces when you exit the Sales Tax field. 2. If you know what the different Sales Tax rate is and you want to extract it from the price, enter the different rate and the abbreviation code of the tax, without spaces in the Sales Tax field (e.g. -7%S). Kashoo will add the spaces when you exit the Sales Tax field. 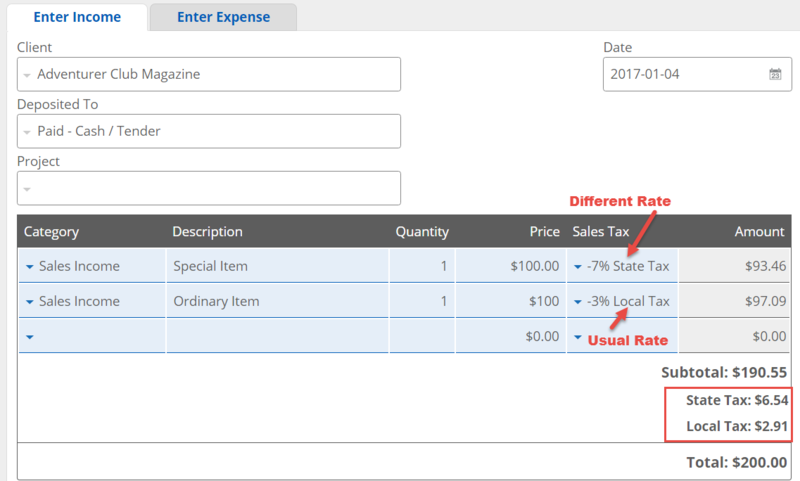 If you know what the different Sales Tax amount is and you want to apply it to the price, enter the different amount and the tax abbreviation code, without spaces in the Sales Tax field (e.g. 7S). Kashoo will add the spaces when you exit the Sales Tax field. 2. 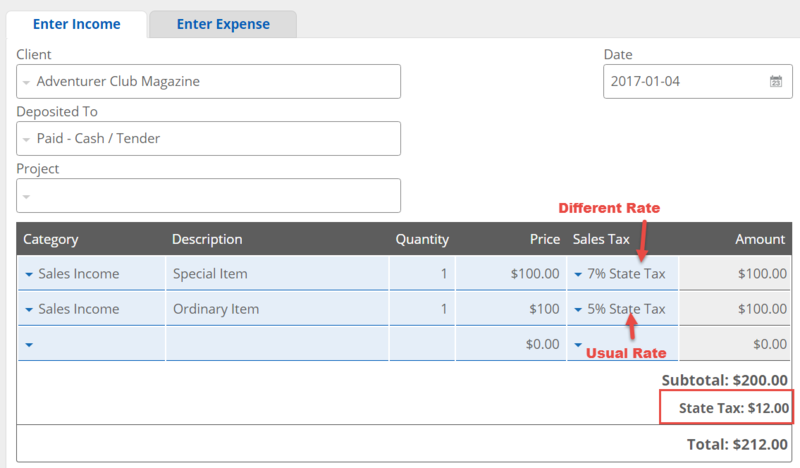 If you know what the different Sales Tax amount is and you want to extract it from the price, enter the different amount and the tax abbreviation code, without spaces in the Sales Tax field (e.g. -7S). Kashoo will add the spaces when you click out of the Sales Tax field.